AstroLux A01 AAA Nichia 219B Review - Winner winner, chicken dinner. An excellent, Neutral tint High CRI LED keychain light! I got a copper BLF edition in the BG xmas sale, just arrived. To be honest it does not look ‘new’, the outer plastic packaging is very scratched/dirty, the inner cardboard was torn (as though light had been removed many times) and the light itself was scratched a lot in several places. The barcode label says Test so I am wondering if it was a review model. For €7.40 I don’t complain …. but I would prefer if BG were honest about selling returns/grade B products. The Copper A01 has been my keychain light since the group buy and is still going strong! A word of warning. The lanyard broke the 4th time I used it. Fortunately the torch fell on my dog’s head so it was not damaged. Hi, I’m looking for some clarification. Banggood now, is no longer the “winner winner chicken dinner “ that it used to be? I used to like a lot this light but got bitten with a recent (well that was last year) batch of A01 which had cold tint, PWM and NMM. I grabbed a copper CPF Italia end of last year for an insanely low price, but i wish i could still get the fancy color Al versions to gift away. Does anyone know if the ‘old’ or ‘classic’ A01 can still be bought? 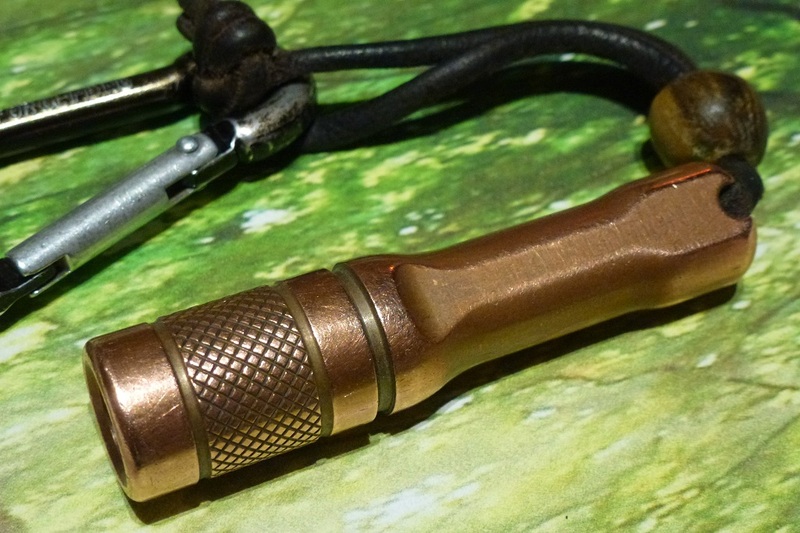 PS: i’ve edc’ed a copper BLF Special Edition for a few years now… Love it with a leather lanyard and custom wood bead. i wish i could still get the fancy color Al versions to gift away. The dog or the light? Yes, patina rubs off my carried lights also. And builds up when not in use. which unfortunately also rubs off..
Do Manker, or anybody else still make\sell the original drivers?. It’s a nice little light (Astrolux) . Or. Maybe. Somebody could knock up a basic On\Off, or L\M\H one?. Not sold out anymore. Some colors are. Still the best for a AAA light. 3 mode, with a pencil mod it loses the next mode memory. Its PWM also gives it way longer runtime and the 219c also gives it way better energy efficiency. Its better to some people I'm sure! Small AAA, firefly and neutral nichia is a winning combo. Someone recently linked to this post recently so I thought I would chime in. I was doing a bit of looking around tonight and found two people selling the Astrolux A01 claiming Nichia 219B and driver with no next mode memory. About $9-10 a light, be prepared to wait a couple months for shipment from China. 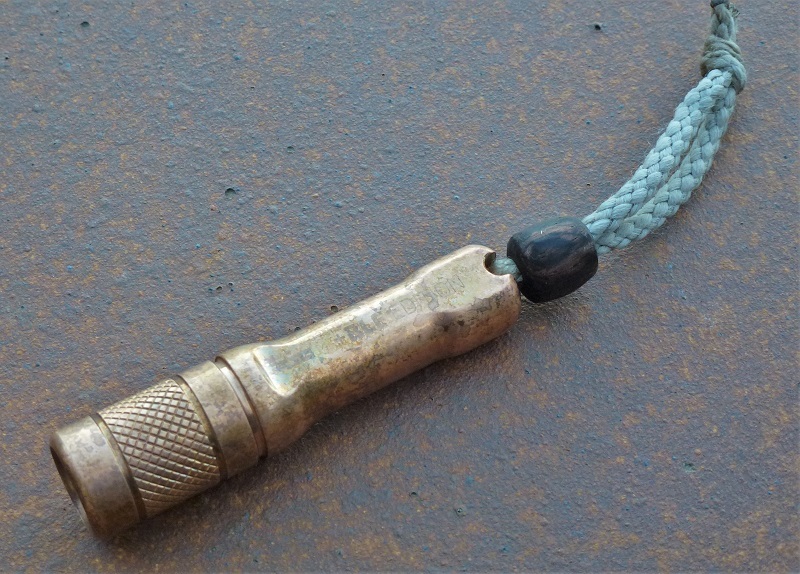 I have the Manker E01 (reportedly the same light) and it could be a great little light, but mine has finicky threads that making skipping modes pretty easy. My wife borrows it periodically so its not so bad in use. I think they claim no next mode memory, but imo, it is no longer accurate, they probably did not change the website ad copy. I have seen people buy Astrolux A01 in the past year, and despite what I warned them, and despite what the website said, they got a light w NMM. I just ordered a A01 from…….nuts, I forget where. It was advertised as a 219B but I would reckon to say it isn’t. I don’t know the exact CRI of the light but I would hazard a guess of around 80 or so and the tint being around 5700K or so. The next mode memory sometimes works and sometimes doesn’t. You also, sometimes get to strobe and sometimes you don’t. It’s a crap shoot really. I don’t care, it’s not worth it to send it back. I look at is as every time I use the light I know it’s going to be a surprise. If I really want a laugh I give it to the wife to try and figure out. Drives her crazy. When the Astrolux A01 (and CPF Italia A01) were on deep discounted sale the year before (Dec 2017), I got a few pieces of them. The CPF Italia A01 came with Nichia 219B and the Manker driver (no NMM and NoPWM in any modes), whereas the Astrolux A01 also came with Nichia 219B but with the newer (unmarked) driver, which has PWM in medium mode. Later, I ordered another Astrolux A01 (about 4-6 months ago), the A01 now comes with Nichia 219C (instead of 219B), and the unmarked driver (has PWM on medium mode). 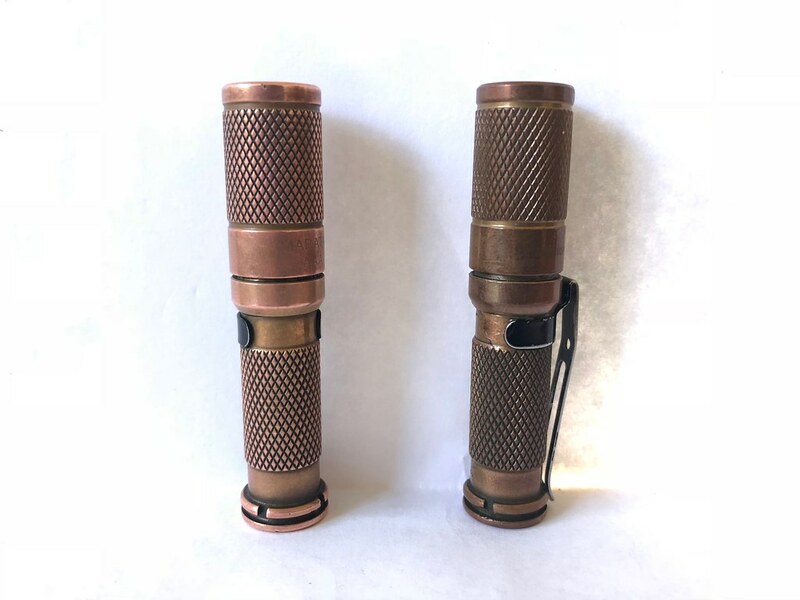 Both the CPF Italia A01 nor the BLF A01 copper (which also has the Manker driver and NoPWM) doesn’t seem to be listed in BG’s website anymore, so I would think that the recent Astrolux A01 now has the driver with PWM in medium brightness levels. I stand corrected, I was only sharing what I saw in print. I don’t have plans at this time to purchase one, but it sounds like toddcshoe did and it was false advertising. Back to your regularly scheduled programming . . . The mods should edit the first post.. I also was hunting for a 219b version and mistakenly bought two of those due to false advertising on a certain chinese website.. With Next Mode Memory these are basically junk and not worth your money. You can get other more practical 219c lights (or other high CRI emitters) for the same or less money. So as of 2018/2019 the Astrolux A01 advertised as 219b is basically fraud and should be called as such. Noone is gonna read all the pages in this thread. Maybe only the first and the last. So: The Astrolux A01 is not 219b anymore and has Next Mode Memory. Don’t buy it. Similar with the BLF348 that still is advertised on another site as 219b. But there was at least no UI that could have been changed to the worse, so this would still be the better option for an inexpensive 219c light at least. Just to make sure I’ve understood: the BLF-348 with Nichia 219C is no longer high CRI? Is there a driver that could be modded into the currently degraded A01, to make it more like it was originally? Like the Zeusray, the A01 has become a poster child for how lights are slowly degraded by corner-cutting over time. Make it good, make it popular, make it cheaper, sell more based on the good reputation, make more money. Sigh. My buddies fell into boiling water in his smoker for like 15 minutes. Still going strong 1 year later. It’s still high CRI. Just not as nice a tint. BLF-348 was never as nice a tint as the original A01. The 348 tint and CCT was all over the place, depending on the unit (I have several). 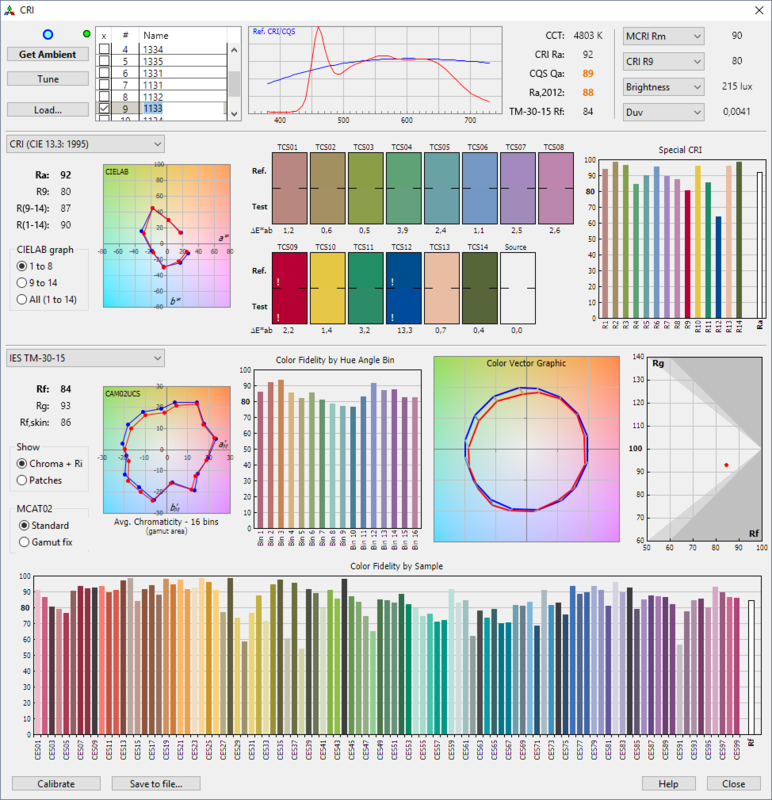 The A01 tint was very consistent, and a very pleasant 4000K high CRI (I have several of those too). Pity the new A01 is so bad, now. My only gripe with the A01’s is the weak lens. I’ve had a few crack/break on me and it isn’t easy to find inexpensive replacements. With my latest replacement for my copper A01, I’ve used Sellotape on either side of the lens to give a little protection to it. with a pencil mod it loses the next mode memory. Its PWM also gives it way longer runtime and the 219c also gives it way better energy efficiency. I think it only goes to “next mode” if you’re in a hurry to turn it back on. Otherwise mine consistently start in low mode. Haven’t timed it to figure out the delay, which would be set by that capacitor the pencil mod discharges. But I haven’t tried getting the driver out of mine.